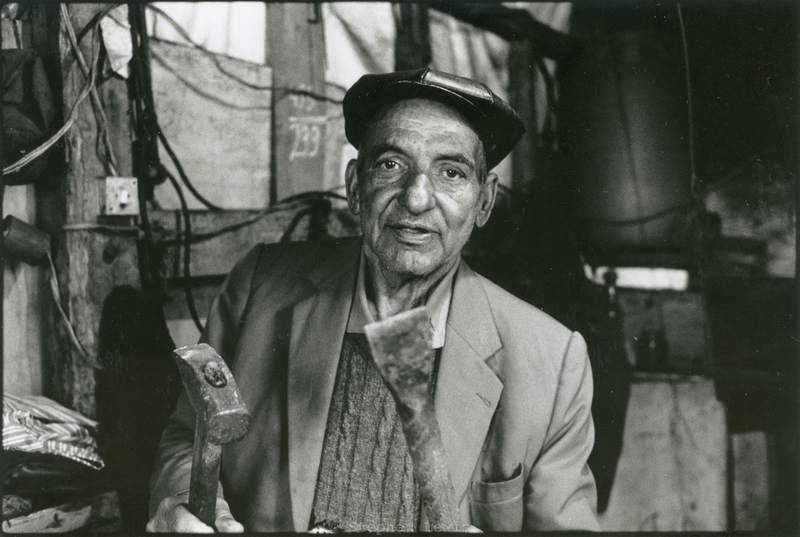 Roma blacksmith, Stoliponovo quarter, Plovdiv (Filibe), Bulgaria, 1997. Nikon F3, 35mm f2.0 lens, b/w negative, scan of print. Click on image to enlarge. Friday was International Roma Day, the annual celebration of the survival of the Romani (Gypsy) people and the commemoration of the Europe-wide persecution and mass murder of Roma by the Germans and their fellows during the Second World War. In honor of my Roma friends, neighbors, and acquaintances, and of Roma throughout Europe, I’ve posted the photo above. The choice of the photo is intentional. The face and tools of the subject show energy, openness, pride, and mastery of craft. But, on another level, the photo tells a darker tale. In Eastern Europe, Roma are still relegated fringes of society. Spatial segregation, exile to the urban edge, and segregated schools block mobility. The need for traditional crafts and labor as once practiced by Roma declined to near naught over the past half-century as tool-wielding and agricultural village economies faded and the age of mass-produced and disposable goods arose. Entree to successive waves of “new economies” — precision manufacturing, financial, service, high-tech, etc. — has been barred to Roma by the vicious circle of educational and residential apartheid compounded by the outspoken racism that is still run-of-the-mill in the ideologically mono-ethnic “new democracies” of Eastern Europe — including Bulgaria, where I took the photo above a full twenty years ago and write these words today. No reason to be too bleak however, Roma work hard, improvise as best the can, and try to enjoy life in the process. So, even if it is a couple of days too late, why join me in a rousing chorus of the Romani anthem, Djelem, Djelem (English-language translation of lyrics, here).